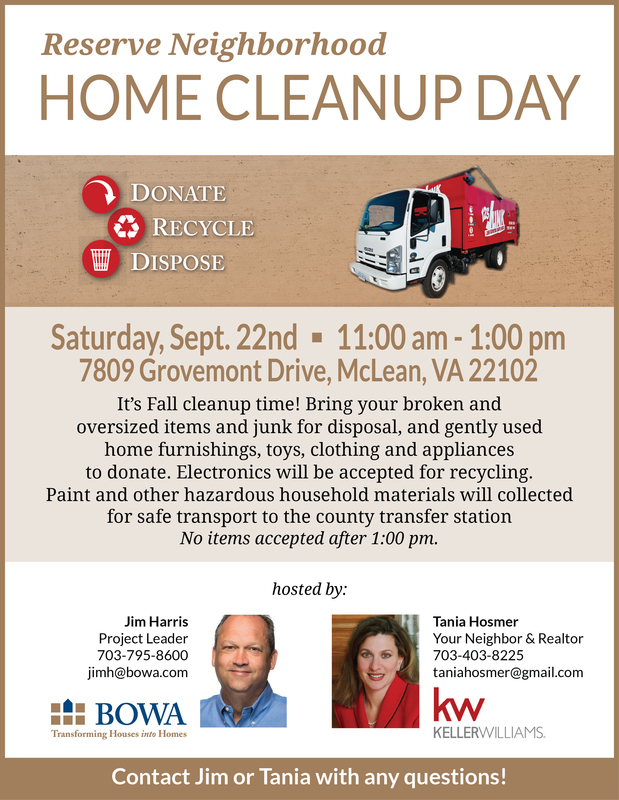 Please join us for our upcoming McLean Home Cleanup Day on Saturday, September 22nd, co-sponsored by BOWA and your neighbor, Tania Hosmer of Keller Williams in McLean. It’s our way of saying thank you to the community in which we live and work. Let us help you get a head start on your back-to-school cleaning and assist in disposing of your unwanted clutter! For more information: Call Jim Harris at 703-873-8002 or Tania Hosmer at 703-403-8225.